Projectors – those are dime a dozen in the market, and with so many different models to choose from, just which particular one do you think you need to settle for? It really depends on the kind of budget that you have, as well as the movies you love to indulge yourself in and amount of space that you have to play with. Cramped homes would do extremely well with short throw projectors due to the lack of space, while larger boardroom settings and lecture halls would benefit from a full fledged projector – even better yet if you are one who simply cannot live without more than high definition images – case in point, the Sony VPL‑W5000ES projector. 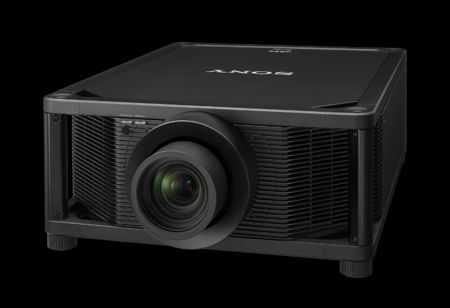 The Sony VPL‑W5000ES projector happens to be a 5,000 lumens 4K SXRDTM laser light source projector, and it also holds court as Sony’s new reference-quality unit which is the first projector designed specifically for home cinema use that boasts of 4K resolution and will be powered by a laser light engine that delivers a whopping 5,000 lumens of brightness. Not only that, it is also compatible with High Dynamic Range (HDR), as it emulates the new BT.2020 color gamut, and covers the full DCI color space. If you are looking for projectors that are made specifically for the home theater market that provides full 4K resolution imagers, then there are no other names in the market apart from Sony that does so. With Sony’s advanced SXRD panels which have been designed to produce outstanding native device contrast, they will work well with the laser light engine in order to deliver an infinite dynamic contrast ratio and 5,000 lumens of color light output. Sony’s Advanced Motionflow feature will also help to reduce blur and maintain brightness, while the VPL-VW5000ES’ extremely fast imagers enable viewing of fast action content, this even more so at sporting events, with great smoothness, even with 4K signals. There will be an HDMI input that is HDCP 2.2 compatible, where this input has enough bandwidth to accept 4K 60p signals up to YCbCr 4:4:4 8bit or YCbCr 4:2:2 12bit. You can place a pre-order for the Sony VPL-VW5000ES now as it is tipped to ship next spring for a jaw-dropping $60,000 a pop.